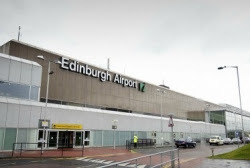 Edinburgh Airport is to be bought by the group that runs Gatwick and London City airports. Global Infrastructure Partners (GIP) will pay £807.2 m to take over Edinburgh from current operator BAA which was forced to sell off the Scottish airport by the Competition Commission. GIP said it hoped to complete the deal by the end of May. GIP is an independent infrastructure fund manager. Colin Matthews, BAA’s chief executive, said on Monday that the company would “continue to focus on improving passengers’ journeys at Heathrow and its other airports”. The company is fighting an order by the Competition Commission to sell Stansted and is waiting to hear whether it will be allowed to appeal the latest ruling against it.